Chennaiyin FC needs a miracle to qualify for the playoffs following a dire start to the season. John Gregory's men have secured just 5 points from 10 games this season. The equation for the Blues is simple. In the remaining games, they need to win all to stand a chance to enter the knockout rounds. The reigning Champions were one of the best defensive sides last campaign, but they have conceded 19 goals from 10 games. It is no brainer that this part is one of the major reasons for the deplorable start. Besides, the main man Jeje Lalpekhlua has been misfiring, Gregory Nelson and Raphael Augusto have been struggling to find their feet this season too. Bikramjit Singh's move to Delhi and Dhanpal Ganesh's injury meant the lack of established defensive midfielders is giving constant headache for the English manager. 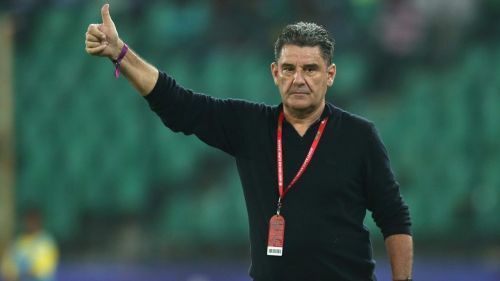 In this article, we shall look at 5 things Chennaiyin FC and John Gregory should change to compete with other sides and qualify for the playoffs. Strike partners Carlos Salom and Jeje Lalpekhlua have never started a game together this season. John Gregory has always used 4-2-3-1, but not an offensive formation like 4-2-2-2 till date. The above-mentioned formation could provide extra incentive for the attackers to cause trouble to opponents defence and notch up goals. The Blues lack speed, running behind the defenders and precision in the final third, which can be sorted out by the Argentine Carlos Salom. On the other hand, there are not many people better than Jeje Lalpekhlua in holdup play who is yet to open his account for the season. It is arguable that both of them have struggled for goals, but they have not received much supply from the midfielders. 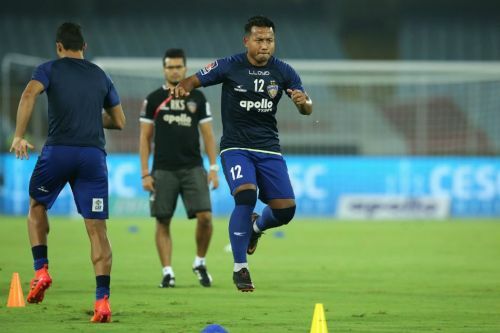 It is clearly visible that the formation which the Chennaiyin FC coach has picked is not working this season, and he might have to tweak some his tactics as fans hope for the second win of the season. It would be interesting to see how John Gregory picks his squad for the next game against Mumbai City FC.